Mimi, owner of Luce Salon, is an Aveda trained stylist and has been working as a hair stylist for over 15 years. Her specialties include hair color, cutting and Japanese hair straightening. Gifted in working with all hair types, particularly curly hair, Mimi loves to create stunning colors and “make overs.” Mimi takes pride in creating a style that works with your natural hair texture and personality. Mimi offers YUKO hair straightening, also known as Japanese hair straightening. YUKO hair straightening gives you shiny, straight, low maintenance hair that you've always wanted. No matter how curly or frizzy your hair is, YUKO will give you the hair you've always dreamed of. 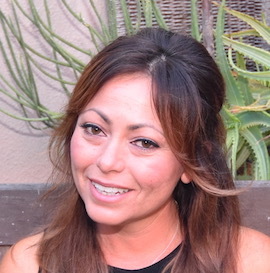 Mimi is one of few Santa Barbara Japanese hair straightening stylists. 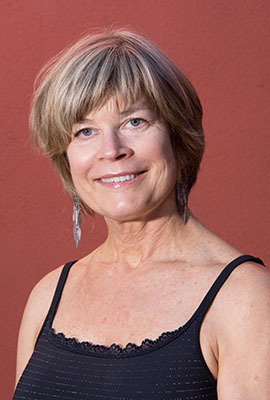 Terri Hudson has been in the profession of hair fashion in Santa Barbara for 40 years, where she creates hair designs which are well suited to each client’s lifestyle and personality. Hair fashion changes constantly and clients themselves change. This allows creativity which is part of why this work remains interesting to her. Terri enjoys working with people in a relaxing atmosphere and nurturing the growth of special friends. Tobey, a Tony & Guy trained stylist, has over 20 years of experience. Tobey has stayed on top of the cutting edge of the hair industry. A few of her accomplishments include: Advanced educator, salon owner, and an entrepreneur within the beauty industry. Tobey specializes in hair cutting, hair color, and hair extensions with a passion for long layering and highlighting. As a former salon owner with over 20 years of experience, Laurie loves the artistic development for hair and style. Laurie will listen to you and your needs. She specializes in the art of hair color as well as hair cutting and styling. 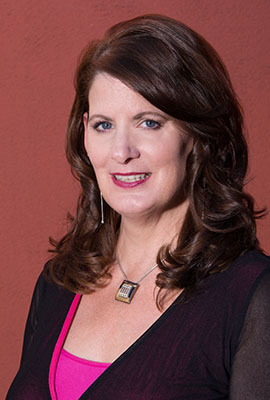 Laurie is the go to Santa Barbara stylist for hair smoothing treatments. Laurie now offers the Uberliss smoothing system! Eliminate unwanted frizz and tame unruly hair with Uberliss treatments. For over 17 years, Valentina’s artistic style and passion for the hair care industry have been the foundation for the creative and manageable hairstyles that she gives her clients. She began her career at The Vidal Sassoon Academy which is known for both their technical and creative excellence. She is a Redken color specialist, but also has extensive experience with the Bumble and Bumble, Kevin Murphy and Schwarzkopf product lines. 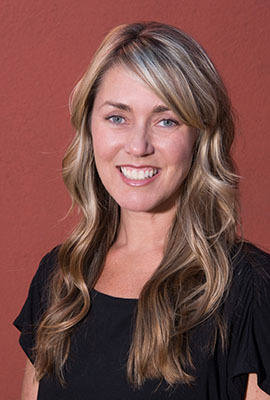 Her enthusiasm for cutting edge techniques led her to be one of the first stylists in Santa Barbara to practice the Japanese hair straightening system by Bio-Ionic. She also offers the YUKO straightening system. She is a hair extension specialist and offers a variety of extension techniques to suit her clients needs and lifestyle. Valentina is currently accepting new clients and offers free consultations for all her services. Whether you’re looking for hair care maintenance or a brand new look, Valentina’s artistic foundation will enhance and highlight your beauty. Tracy is a highly skilled and naturally gifted stylist. She is known for her elegant, and simplistic style. Her impeccable attention to detail is what sets her apart from the rest. Following her traditional training, Tracy was mentored by renowned hairstylist, Hans Wolf. 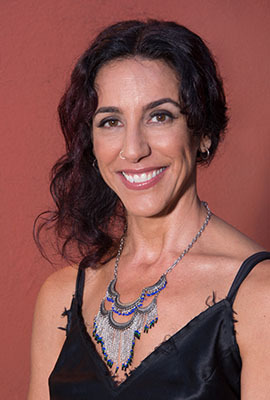 She has completed advanced courses taught by Celebrity stylist, Kim Vo as well as Bravo's Shear Genius winner, in developing the amazing stylist she is today. her stunning skill in color has placed her in high demand. ​Tracy specializes in natural-looking highlights, volumizing fine hair, precision hair cutting, soft flowing layers, and hair extensions. She is dedicated to continually advancing her education to maintain a grasp on the latest trends in hair styles. We focus on each client as an individual. We take the time to assess your hair needs and desired style. Check out a few of Luce's Santa Barbara Mesa salon reviews.